The newÂ HP Pro Tablet 10 EEÂ is a thin and light 10Â inchÂ diagonal HD MIPI IPS 10-point touch panel with an 1280 x 800 pixels of image resolution with an HD recording feature. 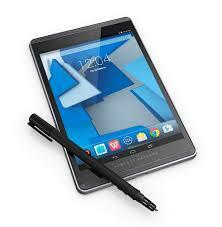 The company has offered this tablet in a low and affordable price. The company revealed that the tablet has gone through 115,000 hours of rigorous HP durability testing before passing this tablet and launching into the market. Â The front side of the tablet is featured with a 2 mega pixel camera with an LED indicator(not Flash) and an unattractive side borders which make the device looks yukk and bulky and making the screen size smaller than required. Â The back side of the tablet consists of a rear camera with an LED flash. the backside is impressive but again whenever we rate something we always rate the front looks as the whole working is Â done on the front. The touch buttons are also present on the screen and there is no button on the thick borders. Â the dimensions of this tablet areÂ 140 x 215 x 9 mm which comes with theÂ Portrait Orientation weighingÂ 375 g according to the models in this series. HP could have made this tablet more impressive by fitting a button on its thick borders and reduce the bulky borders which are almost finished in the upcoming smart phone in the market. TheÂ HP Pro Tablet 10 EEÂ is fitted with anÂ Intel Atom Z3736F with Intel HD Graphics. It works on 1.33 GHz quad core processor which can be upgraded from HPup to 2.16 GHz using Intel Burst Technology which requires 2 MB cache and 4 cores. It has a good reply back and takes less transition time to open up any application. It means it has fast speed due to its on built processor. It could be more fast if the company could fit it with the 8-core processor which is being stromed into the market these days. It has Low halogenÂ Environmental friendly display which adjusts the brightness on its own according to the images and the modes in which it is working either night of day mode. TheÂ 2 GB DDR3L SD RAM is the boost which speeds up the tablet and anÂ 32 GB eMMC internal storage without any external storage compatibility ties up with the RAM offered and combines to make the best out of it. The another variant of the same tablet also comes with theÂ 64 GB storage making an other option for the users to upgrade with. Regarding the camera then it is fitted with theÂ 8 MP HD rear-facing auto-focus with LED flash making the HD pics to be clicked and a front 2 MP camera but no HD display. So we need a better camera for selfies in the front as HP has’t provided it with in his new tablet. It has 1280×800 pixels of image resolution with displaying more than 16 million bright colors making the picture more attractive and charming to click to. The company has given quite a few new features combining it with the new windows 8.1 pro. HP Mobile Connect for EMEA Only and itÂ Â requires a compatible CDMA or HSPA mobile broadband module and prepaid service purchase. Bluetooth keyboard case and Active pen. Roaming is available in UK, Ireland, Belgium, Luxembourg, Netherlands, France, Germany, Spain, Austria, Switzerland and Poland. loaded with new features stated above. Â HP DriveLock Self Encrypting HDs (SEDs) are not supported if the encryption PIN is enabled. External power supplies, power cords, cables and peripherals are not Low Halogen. Also the Service parts obtained after purchase may not be Low Halogen. TheÂ HP Pro Tablet 10 EEÂ is available in 2 variants which are identical through 32GB and 64GB versions. Its cost is kept low at just 200$ which means 12000 INR.